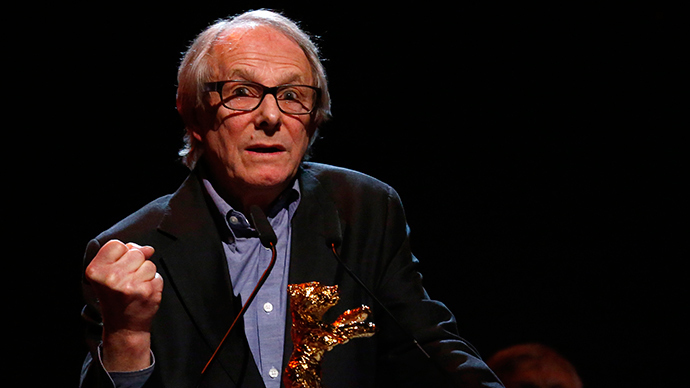 Britain’s anti-austerity party Left Unity launched its election manifesto in a squat in central London on Tuesday with an impassioned speech by veteran filmmaker Ken Loach condemning the nation’s mainstream political parties. Nestled in the heart of Soho, central London, the crumbling block has been home to a group of political campaigners known as Love Activists London for five weeks. It is the 17th large building the group has occupied since December 2014. On Tuesday afternoon, Loach pitched Left Unity’s general election pledges in the squat’s well-kept quarters. The 78 year old film director co-founded the party with other leading activists and academics in 2013 to oppose harsh spending cuts backed by the majority of Britain’s political parties. Loach is cherished in Britain for his gritty portrayals of working class life in ground-breaking films such as Cathy Come Home (1966), Kes (1969) and My Name Is Joe (1998).He was joined by fellow Left Unity members Felicity Dowling and Kate Hudson. “I'm only a rank and file member; please don't present me as the [party’s] leader,” said Loach in his opening remarks. Throughout the course of his address, he emphasized Left Unity’s anti-capitalist objectives. The party’s manifesto was opposed to diktats of the market, and decidedly pro-immigration. It was also emphatic that people should be prioritized over multinationals and banks. “We need stronger trade unions with stronger leaders that don’t just give money to the Labour party for the Labour Party to cut its throat,” he said. Reflecting on Britain’s political landscape, Loach suggested Tory and UKIP policies are particularly repugnant. Loach predicted further cuts to social benefits and the rise of “crueler sanctions” should UKIP manage to increase its share of seats post May 7. He said Nigel Farage’s party represent “all that is mean spirited” in British politics. Left Unity has a total of ten candidates in Britain’s 2015 general election. The party’s national secretary Kate Hudson said it had chosen the modest venue at Ingestre Place to draw attention to Britain’s homelessness crisis. “Rents are rocketing and good housing is getting further out of reach for so many – yet there are 700,000 empty buildings in Britain that could be brought back into use,” she said.